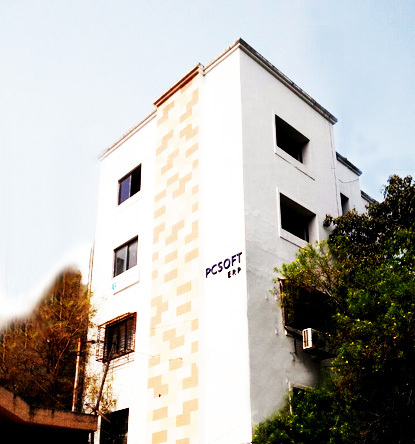 PCSOFT indigenously started developing IEV in 1988. We currently have a dynamic team of 100 highly qualified executives, possesing unmatched proficiency in all facets of ERP Software, including technology procreation, development, implementation, and support. Our exposure to real life implementation spans over a Million Man-Days and includes in excess of 1000 site deployments. PCSOFT has an impressive track record and is famed for being able to succeed where others have failed (such as in highly nebulous project undertakings). This is due to the unrelenting efforts our Implementation Engineers take to ensure every project is successful, regardless of magnitude and also because our software is mature, time tested, field proven and feature packed. The Chief Architect of IEV is our pioneering Managing Director, Mr. Sateesh Jain. Mr. Jain holds BTech (Electronics & Communication Engineering) form IIT, Kharagpur and PG Diploma in Computer Based Information Systems (CBIS) from IIM, Ahmedabad. Armed with both functional and technical foresight, Mr. Jain has been our guiding light since the very beginning. 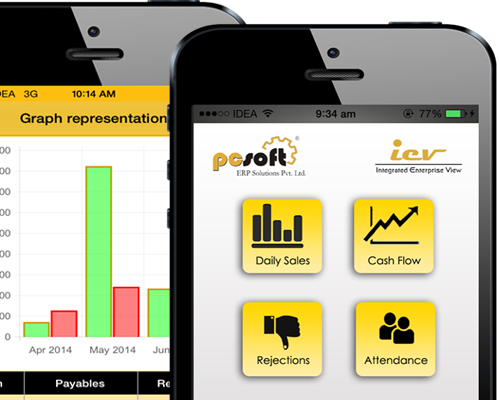 Under his leadership IEV has evolved into a neatly integrated, robust and foolproof ERP system, well appreciated by hundreds of smiling clients. PCSOFT has been the recipient of the Wipro CSI Award for Best Indigenous Software Product. To provide technical and functional expertise for businesses through an All-In-One ERP Application. To provide a mature ERP solution to clients for reaching their operational & managerial excellence. To become a leading ERP solution provider with superiority and competence to be known for the same. Designing a world class ERP product which is process driven and not function/module driven makes it compact and seamlessly integrated. Keep improving the product based on the feedback of on-site implementations. Enhancing core ERP Product with multiple domain integration for various business verticals. Integrating horizontally from SCM to CRM. Integrating vertically from core ERP to data warehousing to big data analytics to derive business intelligence from the core accumulated ERP data. Porting Product to the state of art and relevant platforms like smart phones. Process driven Implementation methodology ensures that even SMEs can simultaneously automate all business processes in the most tightly integrated manner at affordable cost.